Recently I had the pleasure of participating in a Montessori Silent Journey + Montessori Discovery at our children’s school. This is a rare and exciting opportunity for parents, grandparents, and other family members to experience Montessori as if they were a child. The experience was broken into two parts: the Silent Journey and the Montessori Discovery. For the Silent Journey portion, we toured each indoor and outdoor environment in silence to emphasize observation and reflection. 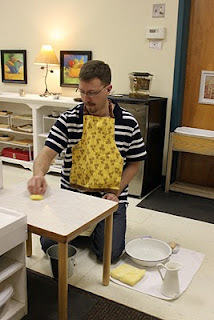 On our Montessori Discovery, the teachers gave us lessons on various materials as if we were a child in their classroom. For both portions, we began the experience as a toddlers, moved up to the Children’s House, onto lower-elementary, then upper-elementary, and finally completed the experience as adolescents in middle school. As parents and adults, we can read about the Montessori experience but unless we were Montessori children, most of us never have a chance to understand what a Montessori classroom is really like. The Silent Journey & Discovery gives us that opportunity. In addition to marvelling at the lovely classroom environments, it was wonderful to connect the things our preschoolers are talking about at home (the red rods, the moveable alphabet, the addition strip board, etc), to our own experience with the materials. It was also enlightening to see how the teachers interact with the children, how a well-presented lesson inspires a child to engage in the material and repeat the work on their own, and how rewarding self-mastery of a work is. Having had lessons given by the teacher, and experiencing the “I did it!” feeling of accomplishment, we can now have more meaningful conversations about the school day. I found it invaluable to get a glimpse into what was to come for our kids as they get older. Most of us focus on the preschool environments when first looking at Montessori, and we rarely invest the time to see what the later years will hold for them. I feel so fortunate to have a concrete understanding of how the Montessori method works at each stage, to have hands-on experience with the materials and with the teachers, and see for myself how the materials work to create a strong foundation that is built upon at each subsequent level. It really is quite brilliant. I heard a 40-year-old man giggle as he solved complex equations using the trinomial cube. I feel so fortunate that my children will be given the opportunity to learn in this fun and self-fulfilling way. At the completion of the Discovery, every single adult wished they had been a Montessori student and wished the experience had been longer. If you’re interested in Montessori for your child, we highly recommend this experience. 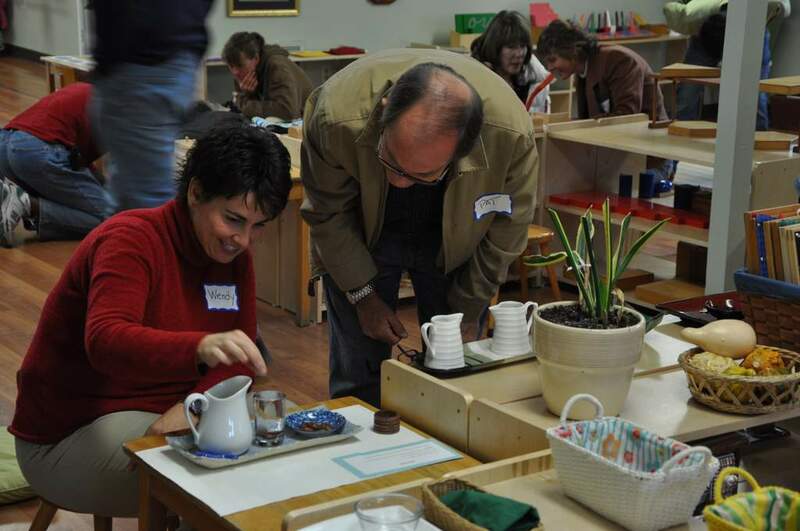 There really is no better way for an adult to appreciate a Montessori school than to experience the joy for themselves. For photos of a similar experience, check out these photos.